In certain circumstances, depending on which Range is in use, the maximum number may increase to 20. This entry was posted in Uncategorized on August 26, 2013 by Liam Nolan. 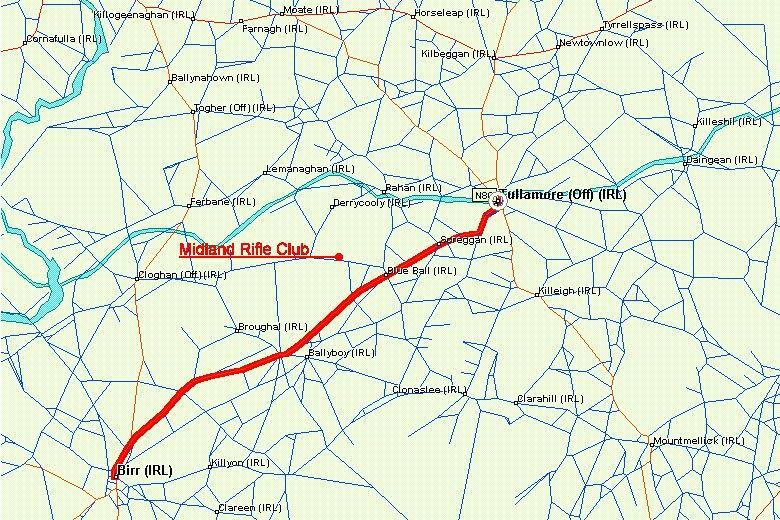 The following Candidates are eligible to participate in the next scheduled HCAP Range Test, which will take place on Saturday 31 August 2013 at the Midland Range, Blue Ball, Tullamore, Co. Offaly. The list includes all most recently qualified candidates from MCQs in 2013 not already certified. Candidates from 2012 or earlier who are approved as eligible from previous MCQs, or Repeat Candidates from previous Range Tests, and not listed below, are advised to confirm eligibility with Deer Alliance HCAP (email or text only please, deeralliance@gmail.com, 086 1927 845). 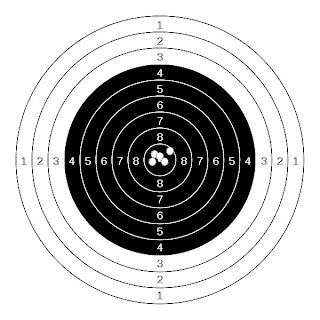 Candidates should familiarise themselves fully with the requirements for all candidates shooting at the Midland Range (see separate posting on this blog). The following candidates (numbers, followed by mark achieved) were successful in the HCAP MCQ held in Portlaoise, Co. Laois, on Saturday 24 August 2013 and are eligible to participate in the HCAP Range Test to be held at the Midlands Range on Saturday 31 August 2013. The following candidates (numbers, followed by mark achieved) were unsuccessful and are required to re-sit and pass the MCQ stage before proceeding to any Range Test. The application fee for repeat candidates is €50.00. MCQ dates and venues are posted periodically on this blog site. “Fail” grades may be appealed to the HCAP Assessment Committee, subject to written application accompanied by re-checking fee, €50.00. Where written application for re-checking is received, it is reviewed by the Committee at the next scheduled Committee meeting following receipt of application. Applications for re-checking must be received within 10 (ten) days of publication of results on this blog. The following is the position of the Deer Alliance in relation to the “Trained Person” requirement under Regulation (EC) 853/2004 so far as it affects the supply of wild shot game including venison into the human food chain. 1: The Regulation provides that persons who hunt wild game with a view to placing it on the market for human consumption must have sufficient knowledge of the pathology of wild game, and of the production and handling of wild game and wild game meat after hunting, to undertake an initial examination of wild game on the spot. 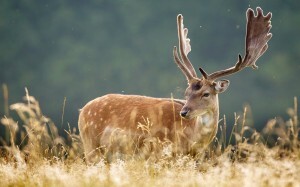 2: The requirement under the Regulation was given life by the Department of Agriculture, Fisheries & Food (now the Department of Food, Agriculture & the Marine) (“the Department”) on 29 August 2011 when it was stipulated that from 1st September 2011, a FCI (“Food Chain Information”) document must be completed for each wild deer received at Game Handling Establishments approved by the Department. The Department’s instructions to game dealers stated that both “Trained” and “Untrained” hunters (persons) should complete the FCI declaration in the prescribed form, “untrained” hunters presenting the form along with the whole deer including the head and all viscera (internal organs), except for the stomach and intestines, to the dealer (“trained hunters” being allowed to deliver the carcase minus head and internal organs where they could complete the declaration as “Trained” persons). 3: At the time of the Department’s edict, the Deer Alliance had already been negotiating with the Food Safety Authority of Ireland since 2005, with a view to securing accreditation from FSAI for a Deer Alliance Food Safety Module. Those negotiations had dragged on for some time and in the final analysis were overtaken both by the Department’s eventual implementation in 2011 of the Regulation of 2004, and by the NARGC’s introduction of their “Safe Handling of Wild Game” Course. 4: It emerged in negotiations that FSAI, although deemed the “competent authority” in matters to do with food safety, required third-party accreditation of the Deer Alliance Food Safety Module, as their Game Handling Course had become known in internal discussions. Therefore the Deer Alliance looked to FETAC (Further Education & Training Awards Council) for accreditation, to find at that time that applications for granting of awards and provider recognition were closed pending amalgamation of different awarding bodies under the new coordinating statutory body, Quality & Qualifications Ireland, or QQI (see www.qqi.ie). The Deer Alliance were therefore obliged to seek recognition from QQI firstly of the imperative for an award under QQI guidelines and within the National Framework of Qualifications, leading to a nationally-recognised Special Purpose Award at Level Six of the Award Scale and secondly, of the Deer Alliance position as a provider, again within QQI guidelines. 5: The current position is that Deer Alliance are now seeking to finalise the format of the Food Safety Module under QQI guidelines, and satisfying QQI as to their competence and credentials in terms of being the appropriate provider of training leading to the Award. The Course Syllabus, Course Format, Panel of Instructors and Cost have all been settled, and the route to approval within QQI has been identified. QQI themselves have stated to the Deer Alliance that they will not be in a position to agree any new Awards or Provider Applications until they have completed a round of public consultations across a wide range of courses at end August 2013. In the meanwhile FSAI have stated to QQI in meeting with Deer Alliance that they are fully satisfied and have confidence in the Deer Alliance Course Syllabus and in Deer Alliance as Course Providers. 6: The latest development is that on or about 24 July 2013 the Department launched what they describe as a Public Consultation process dealing with the requirement that all wild game presented to approved game handling establishments must be accompanied by a trained hunter declaration. By way of background they stated that the Department of Agriculture, Food and the Marine is proposing to make it compulsory that hunters who supply wild game to the market must undergo formal training in food hygiene, as required under EU Regulations. It is proposed that all wild game presented to Approved Game Handling Establishments should be accompanied by a trained person declaration. The Public Consultation document notes that many wild deer shot in Ireland are sold to the UK ‘in the skin’ and that the UK authorities are now insisting that all these deer must be presented with a trained person declaration to the approved game handling establishment. The document also notes that where a hunter is part of a hunting party, it is sufficient that only one person of the hunting team has the requisite training; the trained hunter can undertake the necessary examination and sign the declaration for the other hunters in the hunting party; also that the hunting of wild game for own use is outside the scope of the hygiene package regulations – “the ‘trained persons’ requirement is for those who hunt wild game with the intention of placing it on the market for human consumption and it does not apply to hunters who only hunt for domestic use”. 7: The question arises, what if anything has changed since September 2011. The answer is, nothing – except that the Department appear now to be proposing that mandatory training now be introduced for all hunters (with above exceptions) with effect from 1st November 2013. However various announcements including text messages from game dealers and others tend to suggest that the regime introduced in September 2013 has changed. This is not the case, and the Department has been asked to issue immediate clarification, up to and including retraction of the Public Consultation document where it is misleading or inaccurate, and to set a new and more realistic deadline for introduction of mandatory training. In the meanwhile the deerstalking community is urged to submit comments to the Department on or before the Public Consultation deadline of 19th August 2013. 8: It will be evident from the forgoing that a vast amount of time and energy has been put into the development of the Deer Alliance Food Safety Module as part of a re-structured Training, Assessment and Certification programme for Irish deerstalkers, encompassing proper training not just as trained persons in the matter of safe handling of game within the provisions of the Regulation, but as trained and certified hunters engaging in best-practice management of wild deer. In this regard, and subject only to final accreditation of the Food Safety Module by QQI (and such other authorities and/or accrediting bodies as may be appropriate), the Deer Alliance expects to introduce its Food Safety Module not later that 1st November 2013. 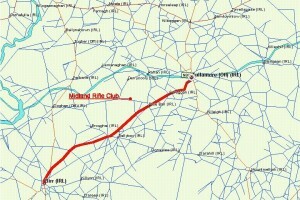 29 August 2011 & 4 September 2011. This entry was posted in Uncategorized on August 6, 2013 by Liam Nolan. The following candidates (numbers, followed by mark achieved) were successful in the HCAP MCQ held in Claremorris, Co. Mayo, on Sunday 28 July 2013 and are eligible to participate in the HCAP Range Test to be held at the Midlands Range on Saturday 31 August 2013. Liam Nolan (left), Chairman, Irish Trophy Commissions, presents Declan Mortimor with his Gold Medal and Certificate at Borris Country Fair, following official measurement by Jonathan Murphy (right), ITC Accredited Head Measurer. 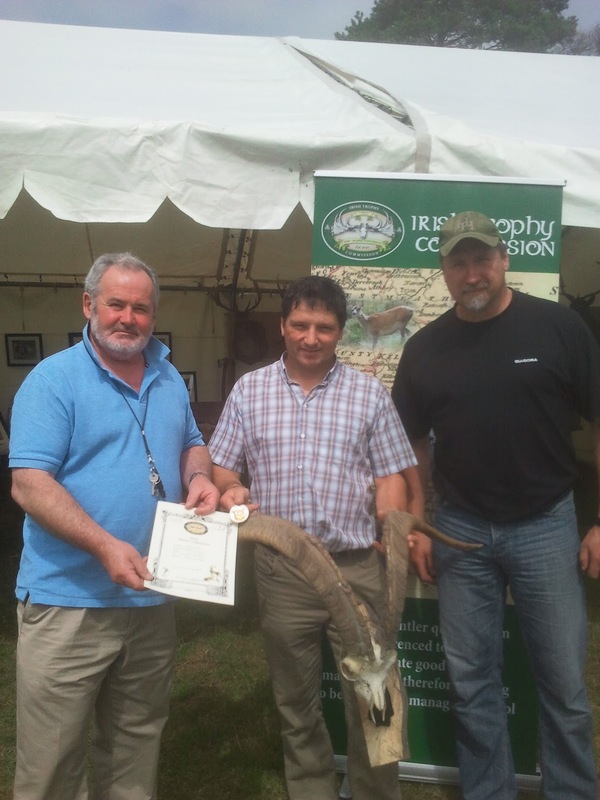 The Irish Trophy Commission shared a stand with the Deer Alliance at the National Country Fair held at Borris House, Co. Carlow on 3 & 4 August 2013. Visitors to the stand saw an impressive display of trophy heads, including medal-quality Irish deer species, as well as wild boar from Croatia, chamois from Austria and roe deer from Scotland. Several specimen heads were measured by Joe Murphy and Jonathan Murphy, accredited ITC measurers, including Declan Mortimor’s Gold Medal wild goat from Co. Clare, Michael Cleere’s Gold Medal red deer from Co. Kilkenny and the first recorded Gold Medal sika head from Co. Wexford. This entry was posted in Uncategorized on August 5, 2013 by Liam Nolan.